This report serves as an outline for what is, perhaps, the best opportunity the United States has been given in decades to regain its founding identity, by joining the new international order being created at this moment by a group of leading nations to move civilization forward into a new paradigm for mankind. The planet is truly at an existential crossroads, and without a dramatic change of policy from within the United States, away from the last fourteen years of the Bush/Obama presidencies typified by Wall Street bailouts and interventionist, Cold War-style warfare, the world could very well erupt into a Third World War. Outlined here is a mapping of the new paradigm emerging around the BRICS nations (Brazil, Russia, China, India and South Africa), how the United States can join this revolutionary new dynamic, the intellectual and political leadership provided by Lyndon and Helga LaRouche over the last forty years to make this vision a reality, and an epistomological overview of where mankind, as a species, is headed were this new paradigm to envelop the entire planet. You, the reader, have a responsibility to help bring the U.S. into this bright future. 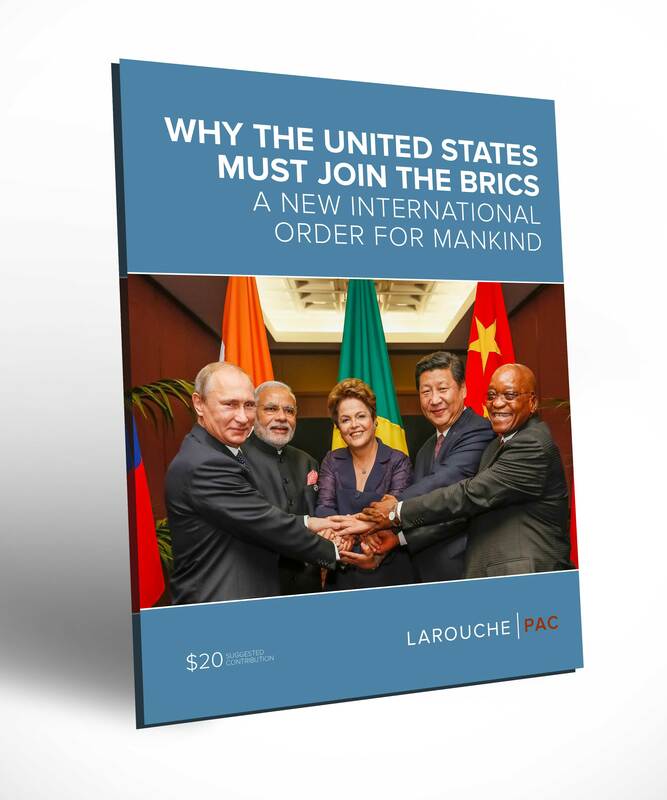 The first and easiest step, back us up: contribute to LaRouchePAC. Become a member, we are the force spearheading this fight in the United States today. Contribute $25, $50 or $100 today, work through this material, visit our events page to find an event near you, and come back regularly for updates on the BRICS and associated developments. "The Well-Being of Humanity Is the Biggest Driving Force For Scientific Innovation"